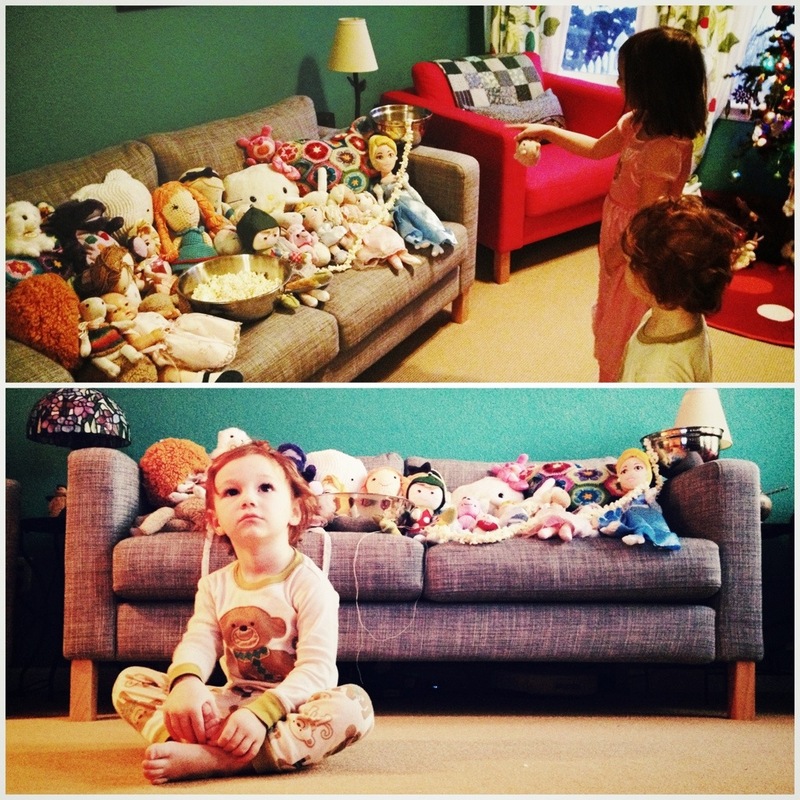 Molly told Elfie last night that she’d like her to gather all her stuffed friends downstairs to the living room for a Christmas surprise. 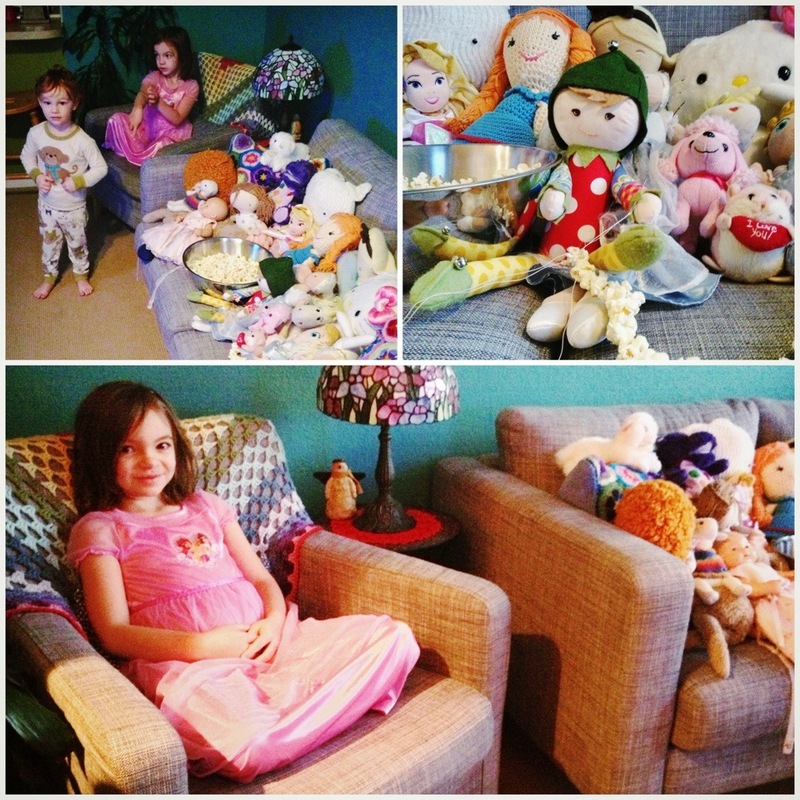 She was more than happy to accommodate, complete with movie accompaniment and popcorn. 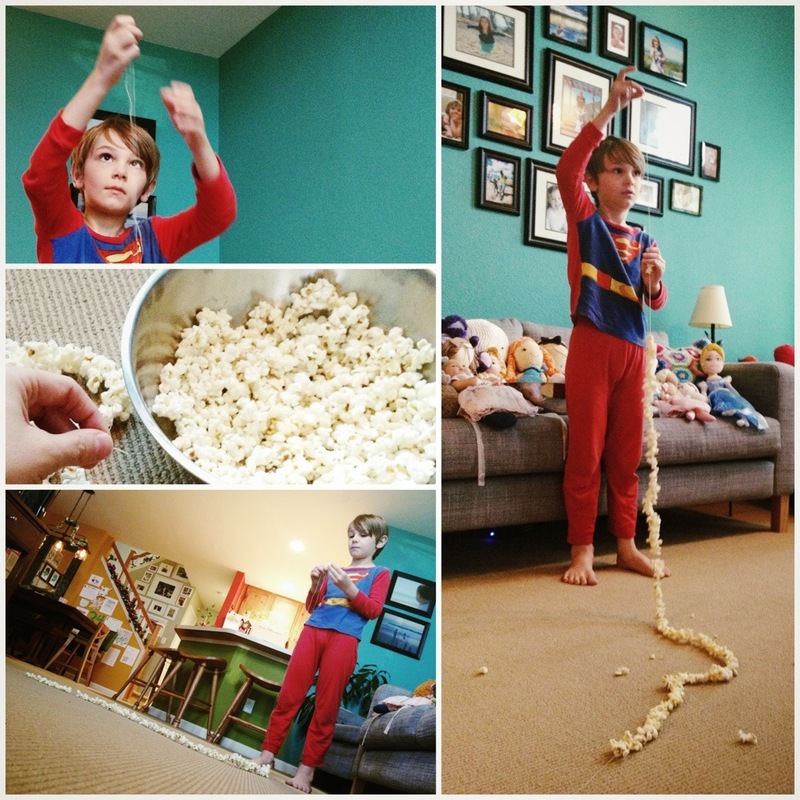 This time, however, the popcorn was not to eat, but to string up to decorate. 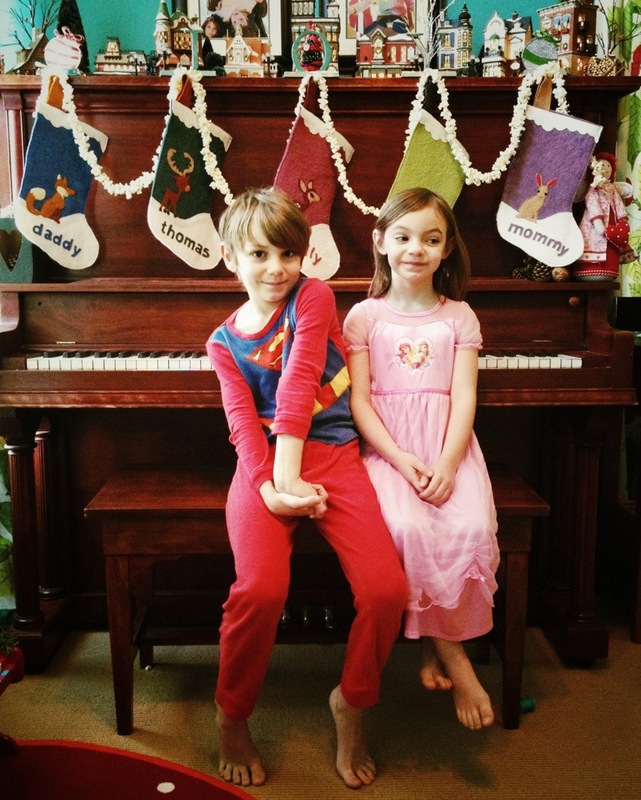 The kids had watching Frosty the snowman, and they made some pretty impressive garland while they were at it too. 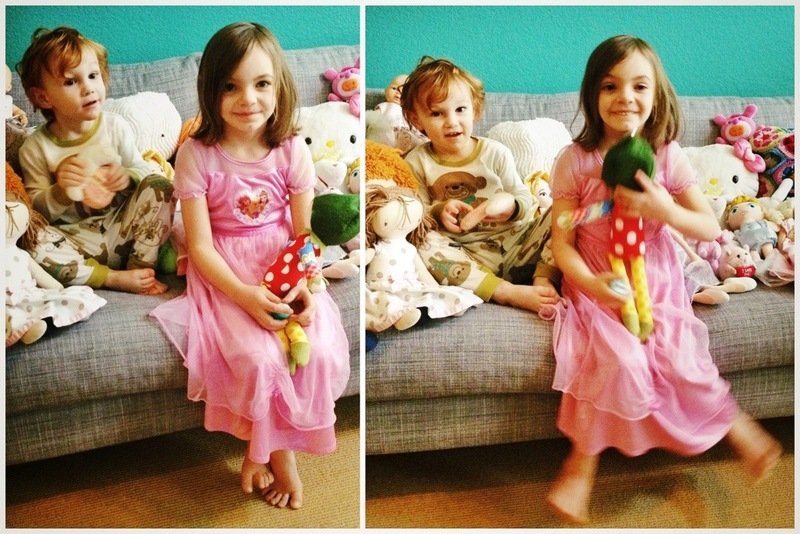 « What we did 5 days before Christmas.